After weeks of checking out the latest in mainstream, comic-book entertainment, it was refreshing to go back to what The Basement was built on -- the little-seen, B-grade horror movie. 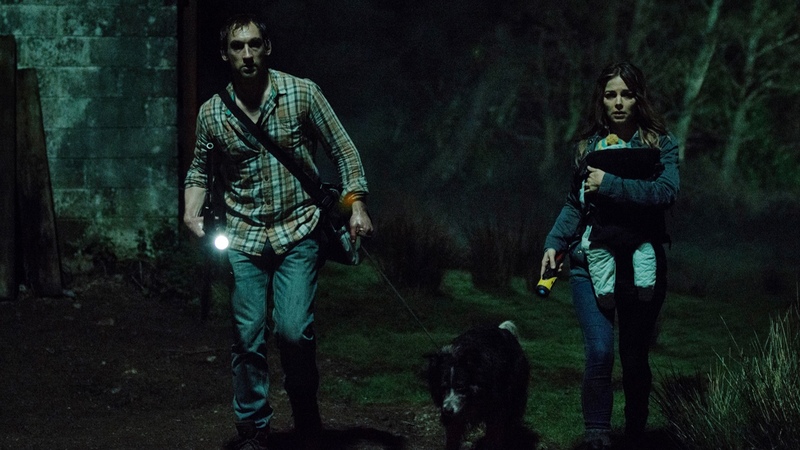 And what better flick to dip the wick into than The Hallow. Not a question, a statement. The Hallow is a 2015 Irish horror movie about a family that is forced to fight demonic creatures after moving into a remote mill house. It puts a modern spin on old Irish myths, while planting an infant child smack dab in the middle of the mayhem. Fortunately, director/co-writer Corin Hardy doesn't allow his film to roll out by the numbers. In fact, after the first 20 or so minutes, I had no idea how The Hallows was going to play out. This worked in the film's favour. Hardy crafts more than a few clever sequences and developed some really cool creature designs. And, by putting a baby in the middle of the action, he automatically engages the audiences in the drama. As a parent, I was there. Things were a bit slow to warm up, but he had me by the mid point. The last hour plays really tight. If there's a flaw, it's that I didn't really get to dig the central characters. I empathized with their plight as a parent, but not with them as individuals. Sure, Bojana Novakovic is easy on the eyes, but I didn't get to know her or Joseph Mawle as characters. It didn't matter if they lived or died, as long as the kid mad it out safe. The Hallow has a lot going for it, and is worth checking out as a horror fan, but it lacks a strong human element to fully engage the viewer.